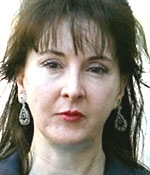 MAY 5--In suicide notes left for her relatives, Deborah Palfrey, the convicted "D.C. Madam," wrote that she could not "live the next 6-8 years behind bars" and that "there was no way out, i.e. 'exit strategy' for me other than the one I have chosen." The notes to Palfrey's mother Blanche and sister Bobbie were discovered last Thursday by Florida cops after the body of the 52-year-old pimp was found hanging in a shed outside her mother's Tarpon Springs home. Palfrey's letter to her mother was dated April 25, six days before her suicide. That letter, a copy of which you'll find here, refers to her "modern day lynching" and notes that she would have departed prison "in my late 50's a broken penniless & very much alone woman" and a "mere shell of her former self." In an undated letter to her sister, Palfrey wrote of her love for her sibling and assured her that, "I am at peace, with complete certainty."